Ground cloves-on the tip of the knife. 1) Wash dried fruit thoroughly. If it is necessary, soak them in warm water for an hour. 2) Put dried fruits in a blender or meat grinder, add spices and grind until they become smooth. 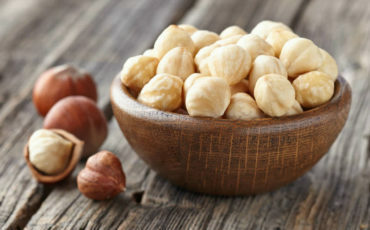 3) Postpone ten pieces of hazelnut for ten candies, and seven pieces of hazelnuts grind in a blender. 4) Take a nut, roll it in the fruit mass and sprinkle with ground hazelnuts.